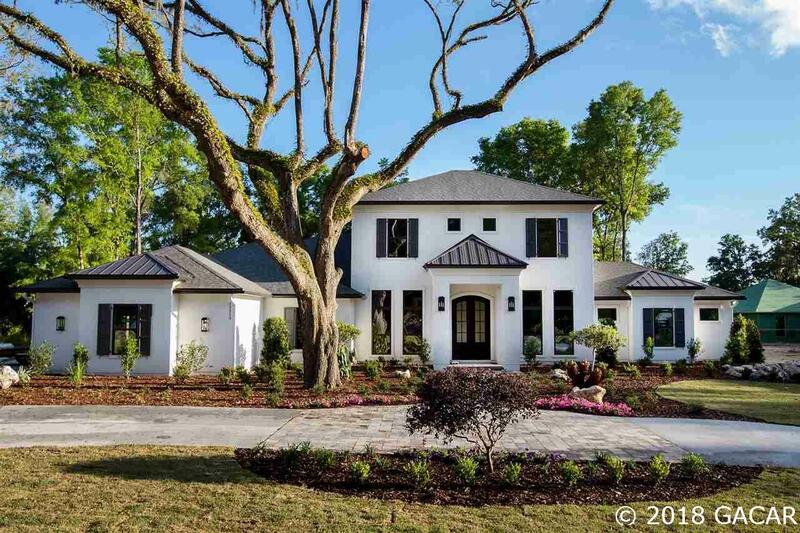 2019 Spring Parade home! 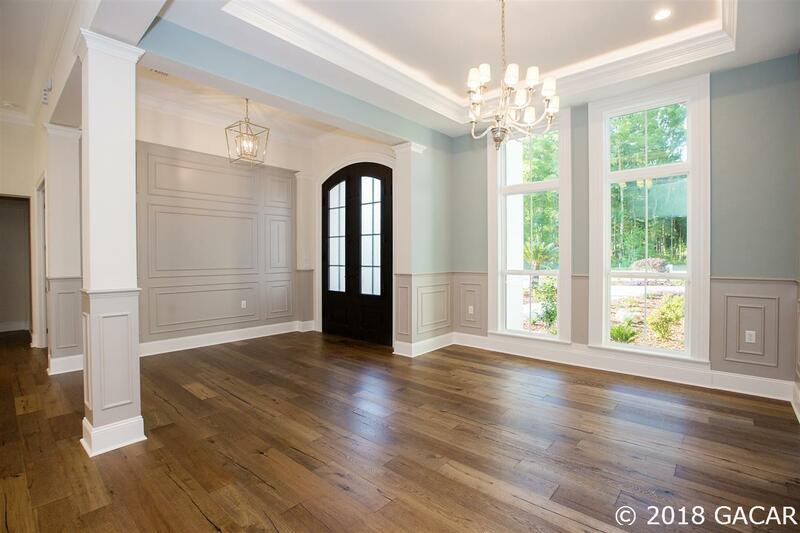 Exquisite Savannah Model from Barry Bullard Homes in Oakmont - This 5102sf home boasts a 2-story "southern coastal open style plan w/ 5 bedrooms, 6 baths, formal living & dining rooms, family room, study, & a flex/Rec room. Master & guest bedrooms downstairs. 2nd floor offers 3 bedrooms with en-suite baths, common & laundry areas. The kitchen has beautiful large stone covered island, custom inset door cabinets to ceiling, Wolf/Sub Zero pro style appliance package, butlers pantry with wine area & bar. Large walk through pantry. 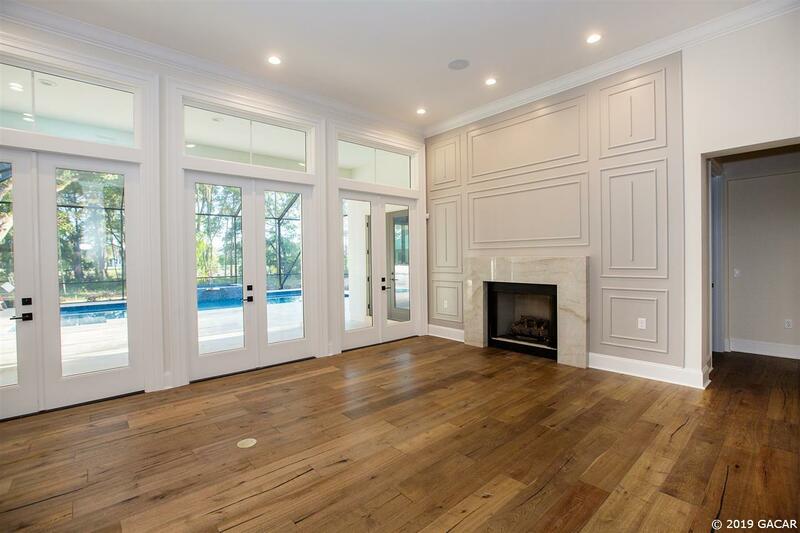 Step out through the pocket sliding glass doors from the family room on to the large screen enclosed pool/patio area w/ wood ceilings, outdoor fireplace, summer kitchen & covered bar, outdoor shower, inviting saltwater pool with a raised spa. Interior upgrades include massive 10 wrought iron/glass arch topped entry door, beam ceilings in living room, upgraded interior moldings & trim, upgraded plumbing, electrical fixtures, huge hers walk-in closet w/ large island & custom built-in storage, wire brushed oak wood floors in all common areas including master bedroom. Beautifully landscaped 1-acre wooded lot. Est Completion April 2019.